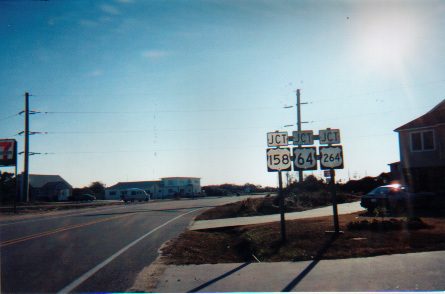 Looking east at where US 64 ends and splits into US 158 and NC 12. 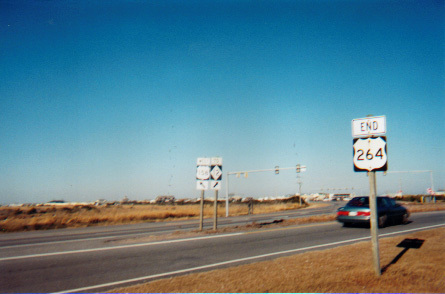 US 264 also used to end here, but has since been truncated further west. Photo by Adam Prince.